HCES is organizing a Blood Drive for the New York Blood Center on Friday, March 6 from 8 a.m. - 2 p.m. at HCES/HCHS. 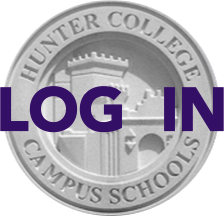 Parents from the entire Hunter College Campus Schools community are invited to participate; please sign up via this link. Please bring a photo ID or ID card with your signature. Walk-ins are also welcome. Read on for a personal appeal from HCES parent Ariel Fishman, whose life was saved by donors like you. March 30, 2012, may have started off as a typical spring morning, but in an instant, my life changed forever. As I was about to drop my children off at school, a taxi ran into me, right where I was standing. Luckily, my children were safe, but my legs were crushed and had to be amputated. After many long months of surgeries and physical therapy, I became able to walk again — often fooling people who don’t realize that I now have prosthetic legs. I am only here today because 70 people took time out of their day to donate blood at a blood drive like the one we’re about to have at Hunter. You see, in the course of my surgeries, I received over 70 units of donated blood. (To put it into perspective - 70 pints of blood is more than five times the amount of blood that the human body typically holds!) Immediately following the accident, so many friends reached out to help us. Fortunately, since I was already receiving the best possible medical care, our family instead decided to ask people to make a donation of blood, to "pay it forward" and replenish the blood supply. We set a goal to inspire at least 70 friends, relatives and members of the broader community to donate blood. To date, over 1,000 people have donated in response to our request – well beyond our goal of 70 donations! Many people have told me that they gave blood for the first time because we asked, and learning how easy it is to save someone’s life. Not everyone can give, so if you cannot donate, be sure to support, volunteer and recruit for the blood drive. You WILL save lives, just as someone’s blood donation helped save mine. In return, I, and anyone who has ever received a transfusion, can only say THANK YOU from the bottom of our hearts.